The scene: You, in your kitchen, wondering what to do with the chicken you just bought. I get a lot of calls from friends and family in dinner distress. Chicken is usually the culprit, too. 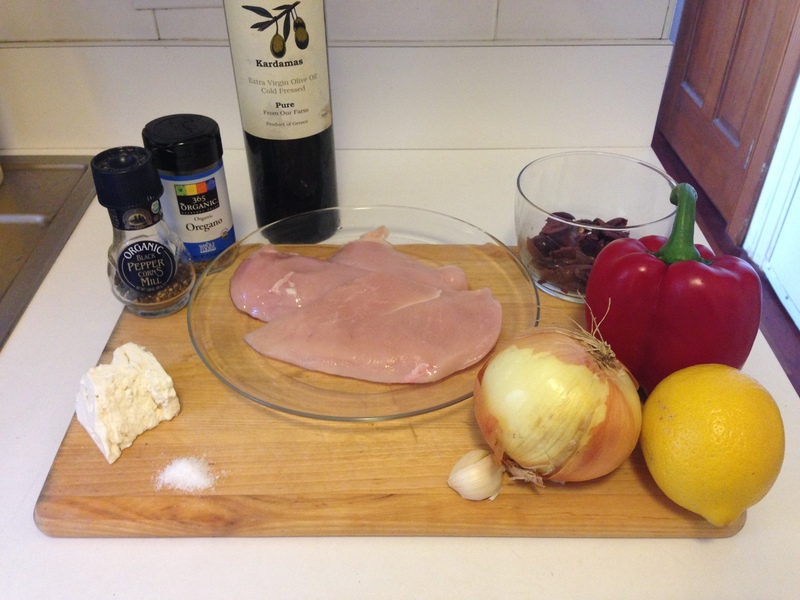 So the next time you’re feeling flustered over how to make chicken more flavorful, make this no-fail Mediterranean dish. 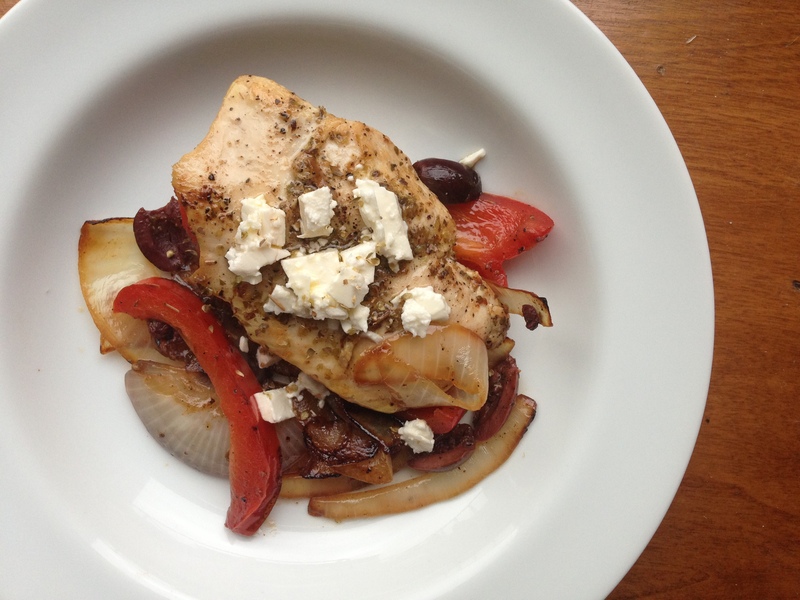 This hassle-free recipe is healthy and full of all the best flavors of the Mediterranean. It’s light, rich in flavor, and fast enough to pull together on the busiest of weeknights. Because after all, no one came home from work and said no to a home cooked meal. Begin by washing your chicken breasts and patting them dry with a paper towel. 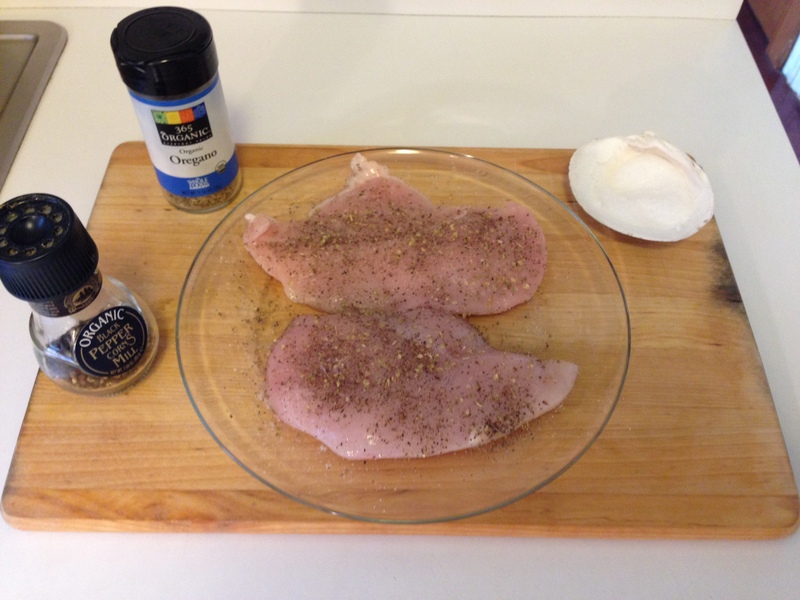 Generously season both sides of the breasts with salt, pepper and oregano. Heat a skillet over medium heat with 2 tablespoons of your olive oil. 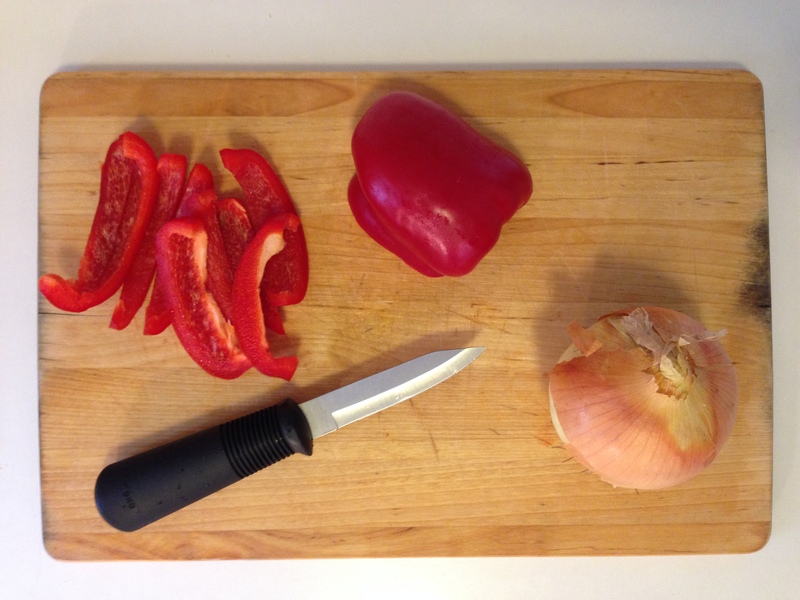 Throw in a whole clove of garlic to infuse the oil with flavor. Add your chicken. Sear them for about 3-4 minutes a side, or until golden brown. 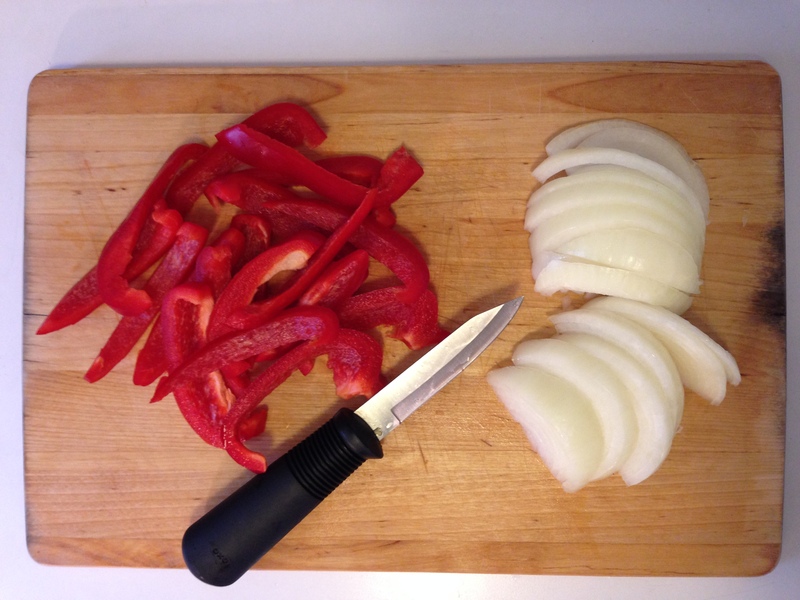 While your chicken is searing, begin to chop your peppers and onions. 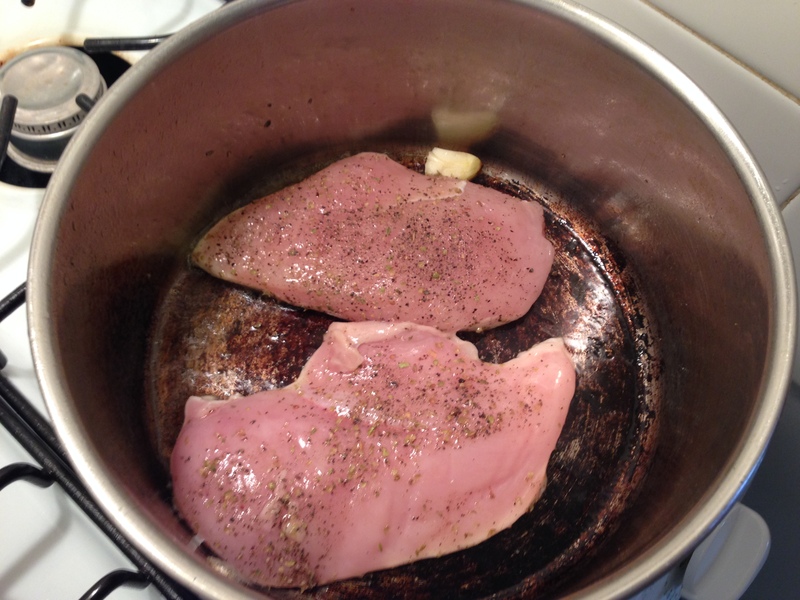 Remove your chicken from the pan and set aside. 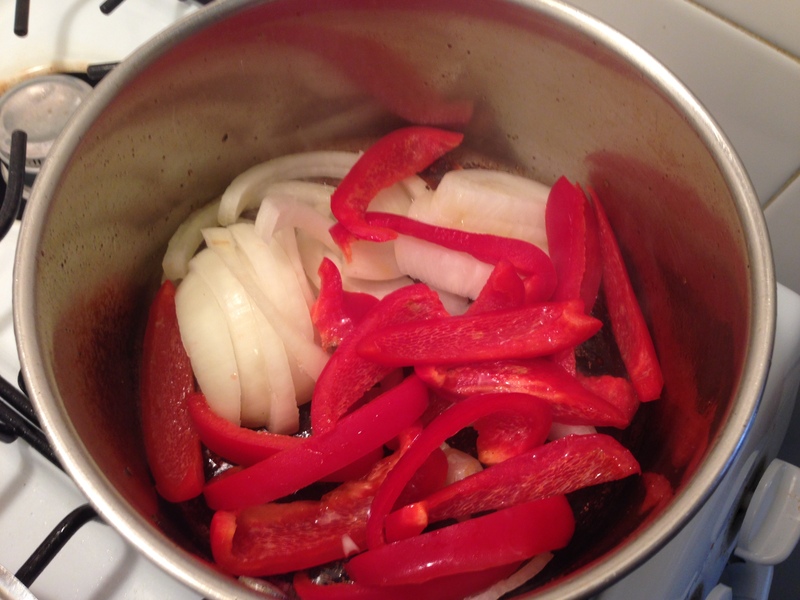 Add your peppers and onions to the same pan and another 2 tablespoons of your olive oil. 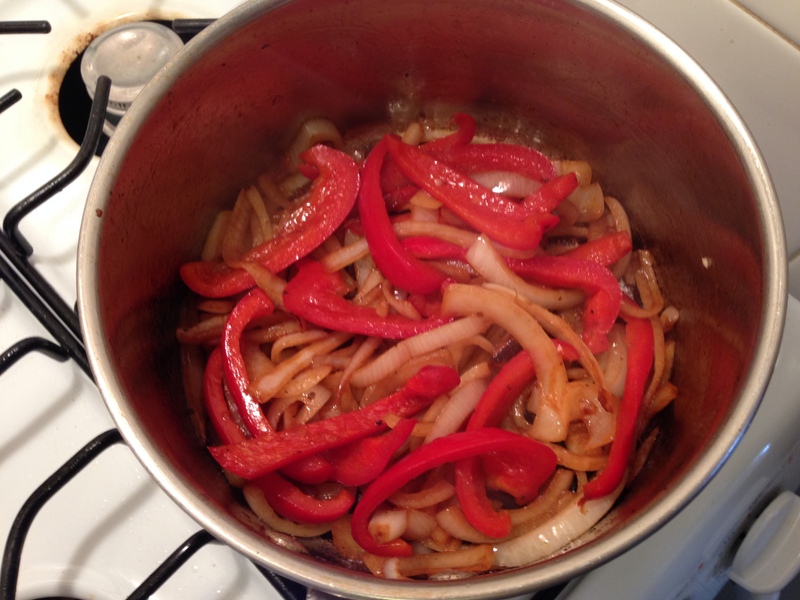 Let the peppers and onions cook for about 5 minutes over medium heat, stirring occasionally. Season them with a sprinkle of salt and pepper. 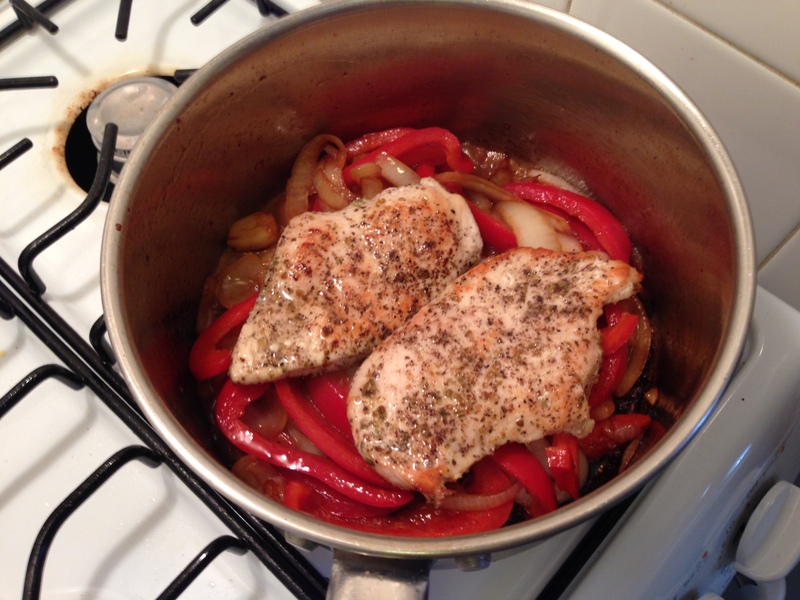 When the peppers and onions are ready, place your two chicken breasts on top and pour in any leftover juices from the chicken into the pan. 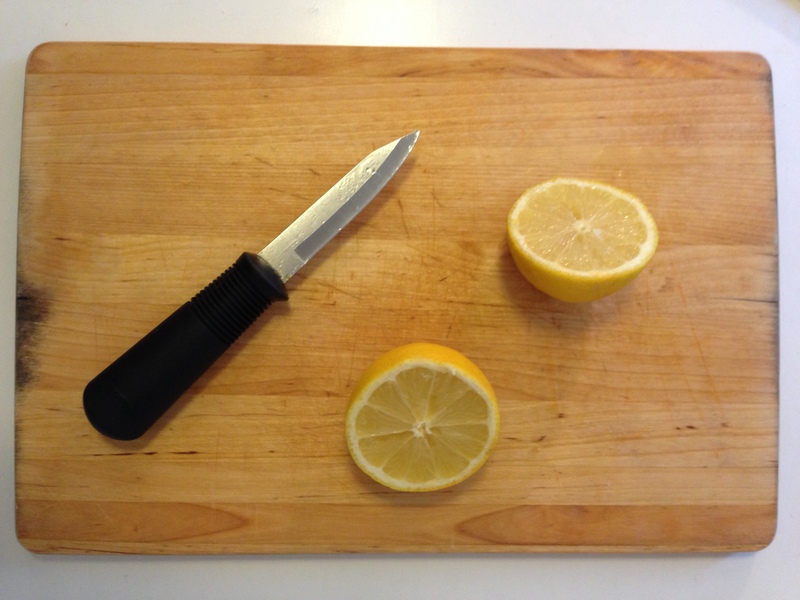 Slice a lemon in half and squeeze about 3-4 tablespoons of juice over the chicken. 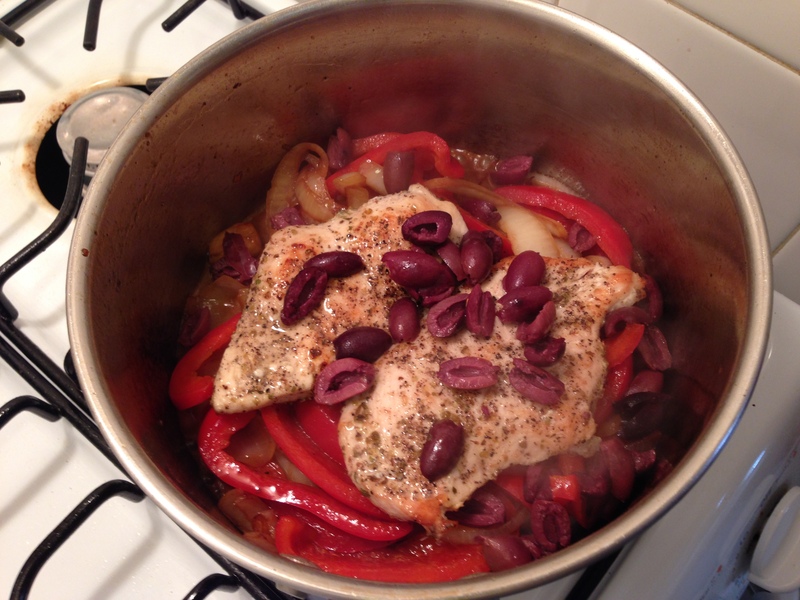 Add your olives and cover the pan for about 5 minutes until the chicken is cooked thoroughly. Ready to eat? 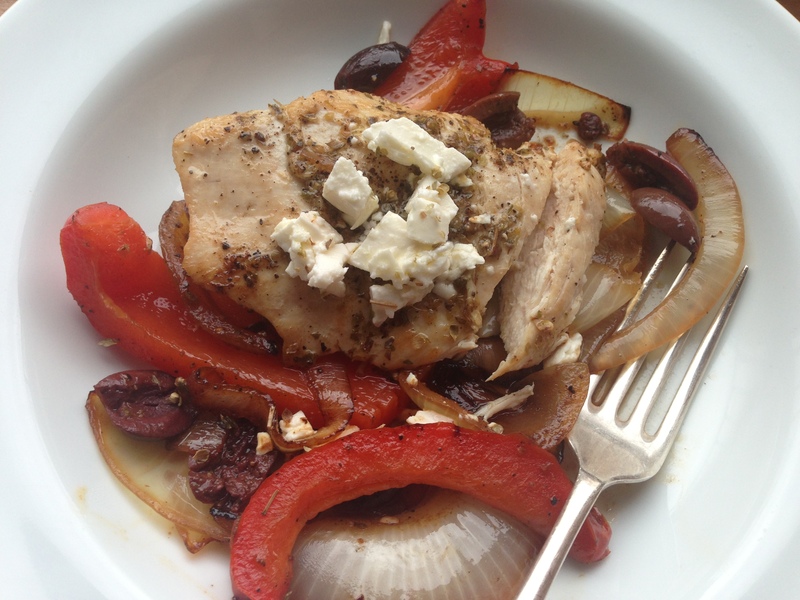 Place your peppers and onions on a plate with your chicken breasts on top. Pour any juices that may have gathered at the bottom of the pan onto the dish. 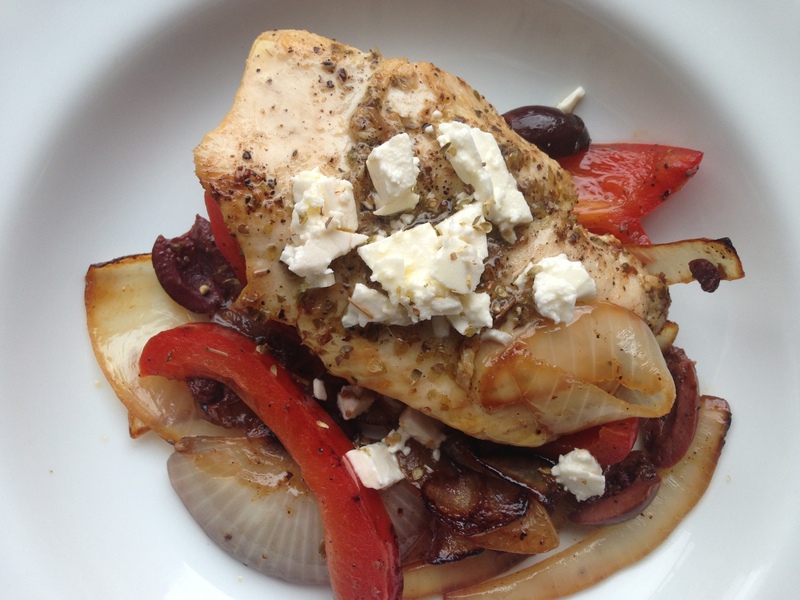 Sprinkle your chicken with some chunks of feta cheese. You’re ready to go. And bonus: This dish tastes just as good cold. It makes a perfect next-day lunch. Fieldhouse Fun Fact: I like to keep my salt in an overturned seashell. It makes for easy access and is decorative. Proper ramekins are also out of my budget. Man…amazing website you got right here. Loads of great information not to mention useful insight!!! Do you own any publications on the subject of indian vegetarian recipes?